Well, we’re back in the swing of things. While the grind can be tiring, I do love a good routine and it feels like we’ve got a good thing going. And oh man, we’re adding another baby to this mix when it feels like we’ve just gotten the hang of this first one? It’ll be great! Anyhow, the routine. I do love it. I know you’re probably not too interested, if you’re even reading, but I do like being able to go back and look at this stuff. On weekdays, R is up at the ungodly hour of 5am. He’s in and out of the shower and practically ready to go by the time he wakes me at 5:30 or 5:45am. I love not being the first one up. M was doing a great job of sleeping until he’s out of the shower and sometimes until I’m out at 6am. 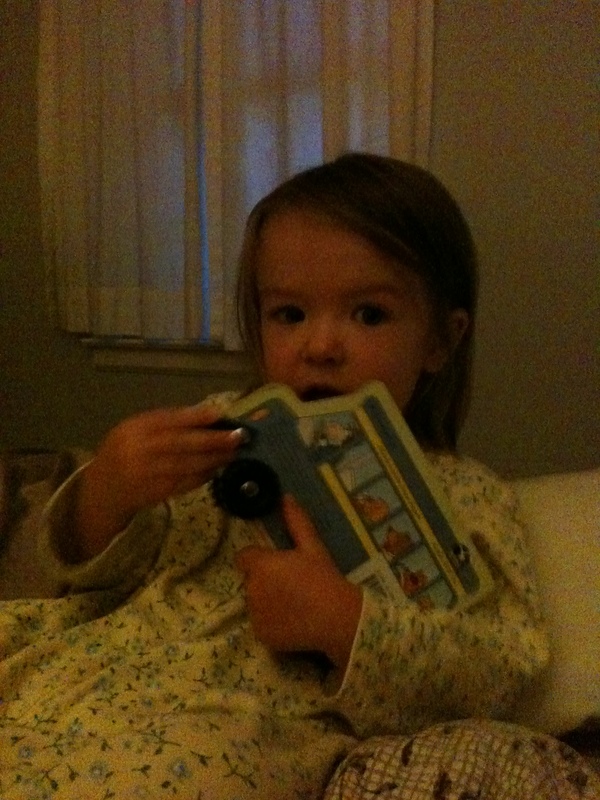 But as of the last week or so she’s up around 5:30am, asking to come snuggle in our bed. Snuggling is usually tossing and turning or reading a book. That’s all fun and games until it’s the weekend. After that R helps a little if he can in the morning getting her dressed and applying sunscreen, depending on what time she gets up, and he’s out the door very soon after 6am. That leaves me and my girl all alone for our morning routine. She eats pretty much the same thing for breakfast everyday – a whole wheat pancake (no butter or syrup – I can’t believe I get away with that! ), blueberries and a turkey sausage patty (which she usually hardly touches, but packs up to eat at lunchtime). She eats while I get ready (and pick up house) and then we brush our teeth together, give Izzie a kiss and a treat and head out the door at around 7am. I work from 8am – 3pm, but usually leave around 3:30pm. I sometimes run errands and I sometimes pick her up right after work and take her with me. I try to make it there before 3:45pm or well after, as that’s the time they go outside. She DOES NOT like to go home with me if she’s on the playground with her friends when I get there, so it’s better just to avoid that whole fiasco. I like our afternoon/evening routine too. She enjoys running errands with me and she enjoys standing on her stool in the kitchen or playing in her kitchen while I make dinner and pack the lunches for the next day. 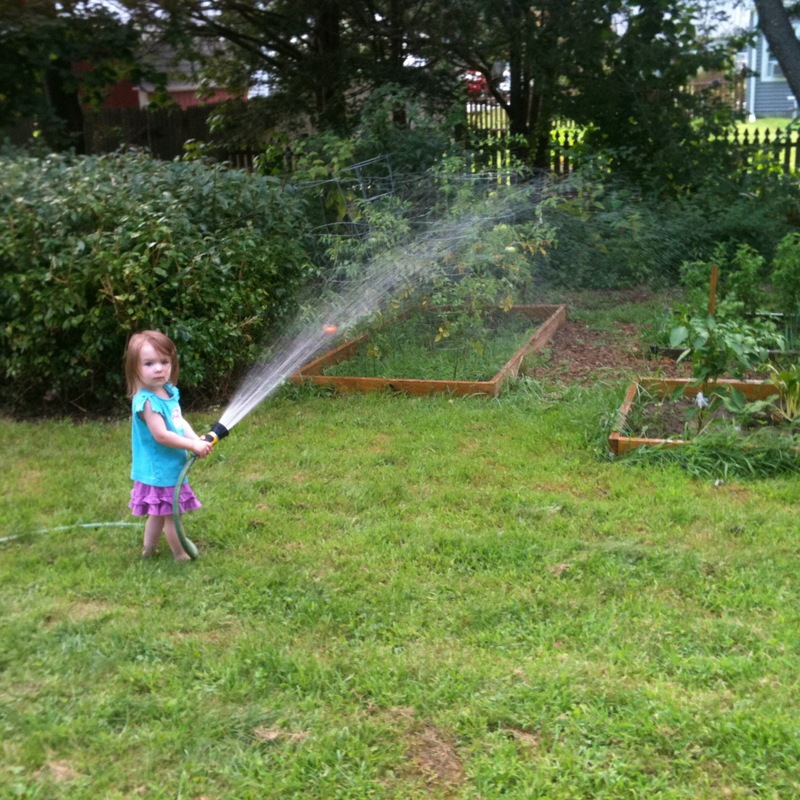 She enjoys watering the garden with R and is really into feeding the dog her dinner (the dog’s dinner that is). We usually try to eat by 5:30pm or so. We try to eat together as a family, or at least her and I if Ryan’s teaching, gigging or working late. Now that she sits at the table in the booster seat, dinner feels more inclusive. We usually start her out with what we’re having, with a side of cucumbers, tomatoes, sliced peppers or berries. When we’re both home, we try to squeeze in a walk around the block before bedtime, but it’s usually tight. The bedtime routine used to start around 7pm, but now that we’re back to getting up early, we’ve moved the bedtime routine start time to 6:30pm. She gets a bath every night. It’s part of the routine, and she really needs it with all that sunscreen she wears. So, potty, bath, potty, teeth brushing and flossing (usually), one book, a song or whole body relaxation meditation (with me) and crib time. 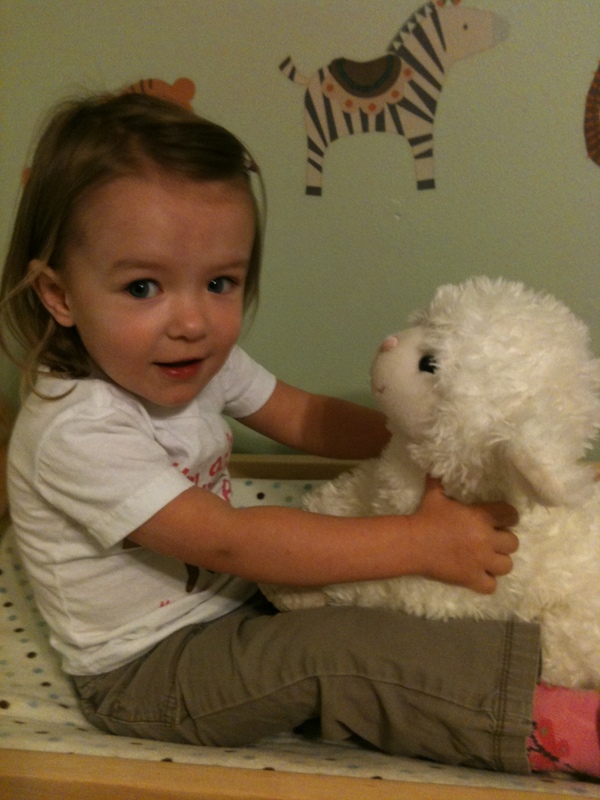 Once she’s in bed, I’m usually doing dishes, finishing up lunches and chores (house, dog, cat, etc). R’s usually doing lesson plans or other school work. We try to be in bed by 10pm, and if I had my way I’d be in bed reading by 9pm and lights out by 9:30pm! I bet that will get easier as it gets darker earlier. We’re not really watching any TV these days, but if we do it’s last night’s DVRed episode of the Daily Show. I usually last about 3 pages in my book before falling asleep. Then we get up and do it all over again. Sometimes I feel like I just spend today prepping for tomorrow and just when I’m getting sick of that, the weekend is here with a nice reprieve from the routine. I do savor my weekends. I get laundry out of the way mostly on Friday nights to try to free up the full days to relax more. We’ve been doing a lot of housework and yard work every weekend since the house is for sale. I’m looking forward to not having that be such a priority and as Fall and Winter settle in, so will we. I’m about 21 weeks pregnant now. I’ve busted out the maternity clothes in the last week or so and I’ve been lucky enough to get several hand me downs so feel like I have a nice wardrobe going. I’m having more back pain then I remember having the first time around, but I assume it’s because of the lifting of a 24.6lb kiddo and all the bending over to do things like bath her or take her in and out of the crib. I’m getting the sciatica pain, and lots of numbness in my left lower leg and the top of my left foot, particularly near my pointer and big toe. Lots of small projects on my brain, and looking forward to taking them on while I’m feeling relatively well. This entry was posted in Motherhood, Toddlers. Bookmark the permalink.